Computer forensics which has also become popular through its other names computer forensic science and cyber forensics refers to an essential branch of digital forensic science which describes all the legal evidences found in digital storage media and computers. The main objective of this specific branch of forensic science is to examine and analyze digital media in a sound and forensic manner while also working to preserve, identify, recover, present and analyze opinions and facts associated to the gathered information. Although this branch is more focused on the process of investigating various computer crimes, you can also expect computer forensics to work suitably for civil proceeding purposes. It also uses the principles and techniques used in data recovery with added useful practices and guidelines that work effectively in creating audit trails in a more legal manner. Experts also define computer forensics as the process of applying computer analysis and investigation techniques that are effective in gathering evidence that can be presented in a court of law. It also aims to conduct a more structured investigation while retaining documented chains of evidence in order to determine the incident that took place in a computer and the person who should be held responsible for it. A standard series of procedures is typically followed by computer forensic investigators including the process of isolating the computer physically to guarantee that it won’t be contaminated accidentally, producing digital copies of the original hard drive and locking them in a more secure and safer storage facility. If you are aiming to become one of the most renowned experts in the field of computer forensics, then you should consider taking part in the computer forensics certification program which is now available at Brainmeasures. The computer forensics course from Brainmeasures is a good choice because the company is legitimate and has become extremely popular through all the easily comprehensible, accurate and detailed online certification courses that it offers. This means that the certification course allows you to take part in a computer forensics training which is guaranteed to work in maximizing your knowledge in the field, strengthening your background about computer forensics, understanding all the steps and procedures involved in undertaking the computer forensics process and making sure that all the digital copies of hard drive data are safely stored. 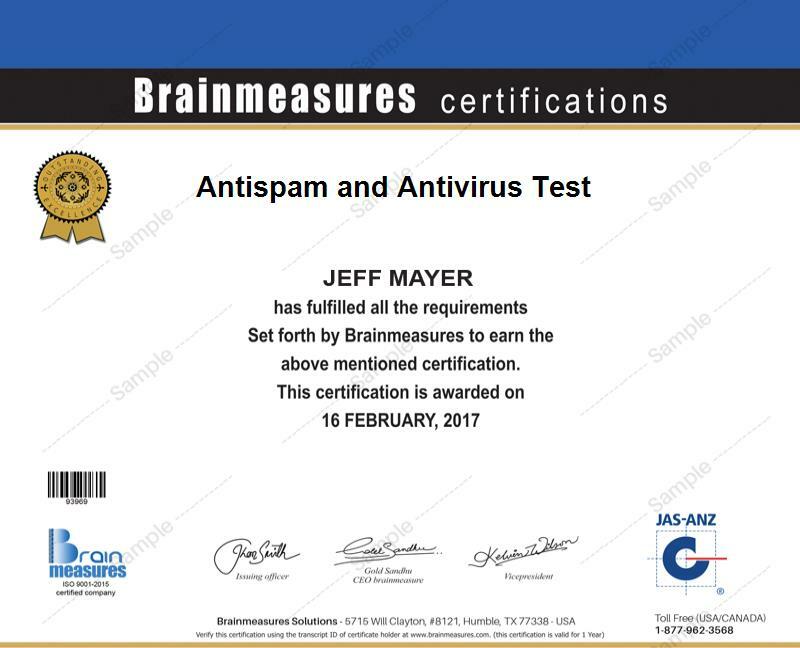 By earning your computer forensics certificate from Brainmeasures, you can start showing the whole industry that your skills and expertise in the field are of the highest class. Anyone whose degree or career is related in the field of information technology can take part in the computer forensics certification program offered by Brainmeasures. You can expect it to work even more suitably for troubleshooters, IT security officers, network administrators and engineers, security auditors, technicians and any other IT professionals who aim to gain a more complete understanding about how the computer forensics process works. You can also expect the level of your salary to increase after you successfully complete your computer forensics certification course. You can expect your computer forensics certification to help you in getting the position of a computer forensics investigator which allows you to earn around $48,000 to $76,000 per year. You may also work as a computer forensics consultant which gives you the opportunity to earn around $83,000 to $92,000 annually. Working as a computer forensics engineer is also a huge help because it allows you to receive around $73,000 to $136,000 yearly.